When someone mentions Coca- Cola probably you think about one the most recognized brands in the world. And we don’t blame you for that. Coca-Cola has been working on presenting itself like something more than a drink. When you drink Coca-Cola you are not just consuming drink, you are consuming a way of life, an experience. There are plenty of reasons why you are consuming Coke, but did you know that there are several reasons why you shouldn’t drink Coca-Cola. Have you ever wondered about Coca-Cola’s ingredients. Well, some researches have shown that the acidity level of Coke is almost on the same level as the acid in the batteries. Maybe the fact that you are not consuming just drink is true, because while consuming Coke you are consuming acid. 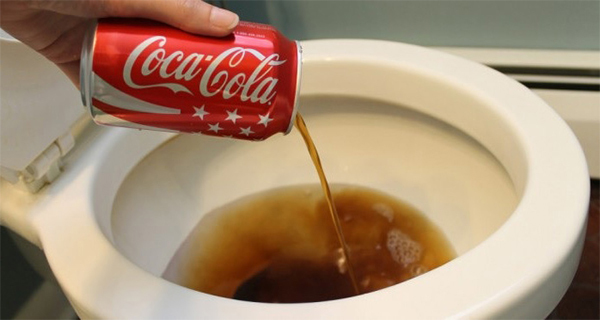 In the following we will present you 20 reasons why you shouldn’t drink Coca-Cola. A group of doctors and experts have made a research about the increased level of risk of stroke or heart attack for people who are consuming any type of soda, including Coke in comparison to those who are not consuming soda regularly. The research has shown that those who are consuming soda have increased risk of stroke by 48 percent. Phosphoric acid inhibits the action of sugar through your organism just 10 minutes after consuming Coke. The level of insulin is increasing significantly just after 20 minutes after consuming Coca-Cola. 45 minutes after consuming Coke, your brain center for pleasure stimulates production of a hormone – dopamine. Same effect as the effect caused by using heroin. Calcium is released through the urine and your metabolism works slow because of consuming Coke. The caffeine enters the body just after 45 minutes. Your blood pressure is raised. I think that each one of us should think twice before consuming a Coke after reading this. If sometimes you have asked yourself why you shouldn’t drink Coca-Cola, now you have a reason.